A B.C. man has been convicted of promoting hatred against Jews through his website, RadicalPress.com. B.C. man Arthur Topham has been convicted of promoting hatred against Jews through his website, RadicalPress.com, which the Crown said demonized Jews and forwarded anti-Semitic conspiracy theories. 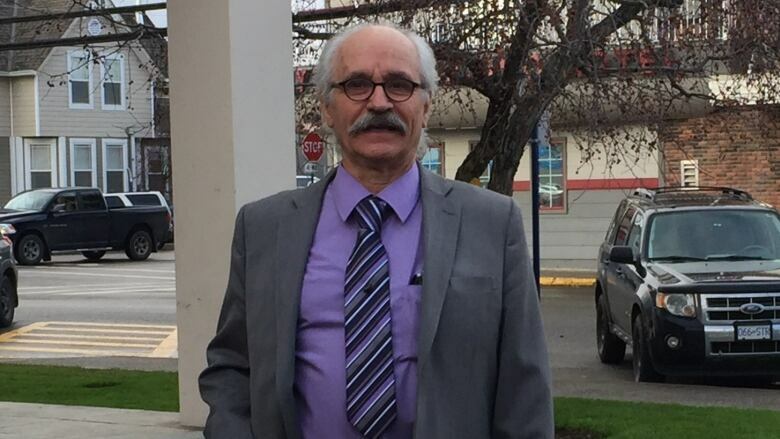 On Thursday, a jury in Quesnel, B.C. agreed, convicting Topham of one count of communicating statements that wilfully promote hatred against Jews. "It's a very important decision," said Harry Abrams of Victoria, who alerted B.C. 's Hate Crime Unit to the website. "It's important to have a distinction between what's fair and reasonable and what is simply abuse and should not be tolerated in Canada by anybody," Abrams added. During the 10-day trial Topham's lawyer defended the website as free speech, arguing that an article calling for the sterilization of all Jews was satire. Topham, 68, is a grandfather who has lived and worked in Quesnel, Cottonwood, and Bella Coola. Over the years, he's worked as a teacher, carpenter, placer miner, newspaper columnist — and as the publisher of RadicalPress.com. His case attracted support from several Canadian white supremacists, including Paul Fromm, who attended the trial and helped fund the defence. "We've supported Arthur Topham since the first time he got in trouble," Fromm said. "He got a complaint from a Jewish leader in Victoria for postings he had on Zionism (in 2007)." Topham was charged with two counts of communicating statements that promote hatred. The jury convicted him on one count, which dealt with material from 2011 and 2012. He was found not guilty with regard to material from 2013. Topham will be sentenced in 2016. This is the first internet hate crime conviction in B.C. since 2006.